At the beginning of the summer, I got in touch with the director of the Internship Program to begin my search for an internship. Sometime in early August I got an email about an opening for an internship position at the MAC that was right up my alley. As an intern in the Sustainability and Strategy Department, my role has been to work on various projects such as creating a life-cycle cost analysis tool in Excel and to put together sustainable demolition resource sheets for the concessions in the terminal. I’ll be presenting my work at the end of the semester for the Environmental Leadership Practicum poster presentations. Most likely, this will be a feasibility analysis for implementing passenger-side composting in the terminal. My favorite part so far has been the dynamic environment I work in. The airport is an always changing workplace that provides me with new challenges and new lessons. I had no idea how complex airports are and how many different players must work together in order for everything to run safely and smoothly. One of the most important things I’ve learned is how to create professional relationships and expand my network. Talking to other people in the office, especially higher ranking employees, can be pretty nerve-racking, but these opportunities have increased my confidence and calmed my nerves. An internship is a great opportunity to learn things that you won’t necessarily learn by just going to class. It’s still a great way to reach out into the working world and begin to grow a network. Thrivent Financial is a Fortune 500 financial services organization headquartered in Minneapolis. I’m part of the big data team and, as a market analyst, my role is to identify online sources for data that can be used to improve the company’s predictive models. I use the programming language Python to gather data from the web and then help incorporate this information into models the department is working on. I got this internship through UpTurnships, a nonprofit that prepares highly motivated, under-resourced college students to become strong new hires. I began my internship last summer while attending an amazing business training program and Thrivent decided to extend my internship into the fall semester. Macalester’s internship office has been a great support for me. They facilitated the process of getting academic credit for my internship, which allows me to gain practical experience as part of my academic work. One of my favorite experiences was standing in front of 15 staff members in my department, including the director, and presenting my work. I was teaching employees who have been in the company for more than 10 years what web-scraping is and how it can be used to improve predictive models. After this presentation, Thrivent’s vice president of Development asked me to help him with one of his projects. It has surprised me how important my input is for the team. They respect my opinions and are always excited to hear my thoughts, and it’s great to see that I bring a new perspective. Internships during my time at Macalester have helped me learn what I truly want to do in the future. Through this internship, I’ve discovered that the field of data analytics perfectly combines my skills in a way that challenges me and helps me improve. I work with a wonderful team of chemists and engineers on product development and optimization. I run tests and assist with formulations and coatings of the product in the laboratory. 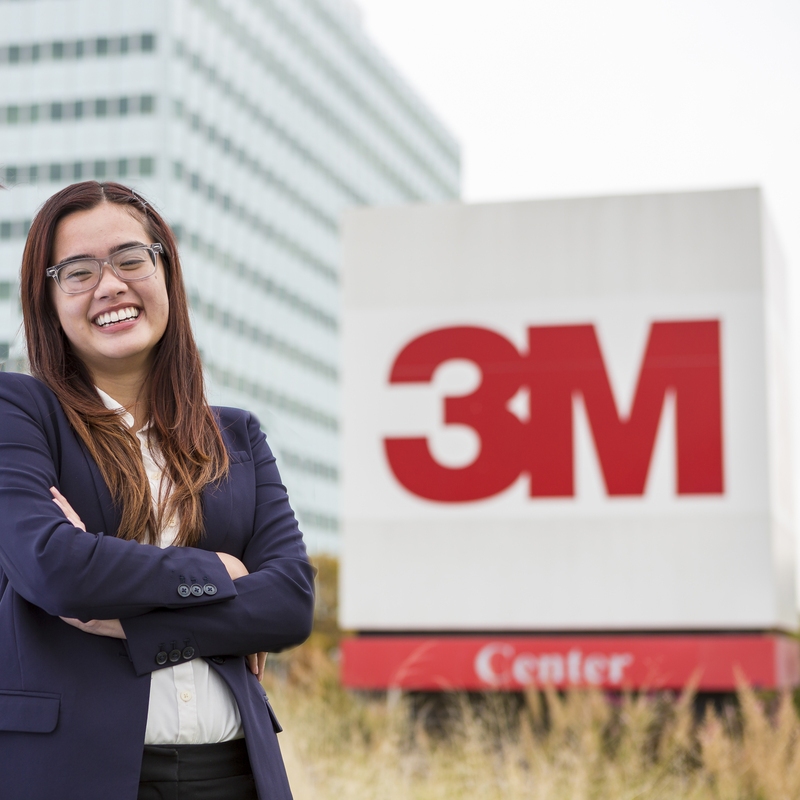 I have learned many valuable skills working at 3M, including how to perform a variety of product and marketplace analyses. I have learned about and participated in the product development process, strengthening my knowledge about polymer chemistry, collaborating with other scientists, and reinforcing my ability to critically approach problems and formulate solutions. What I most enjoy about my work at 3M, beyond the research itself, is seeing all the different ways people of diverse backgrounds can come together to address a real-world problem. The neat thing about industry research is that the end goal is to have a viable product available in the global marketplace. 3M products can be found in many things, from your phone to your car to the dental fillings in your mouth! It isn’t just about Post-It Notes. So you may find that you’re using something I’ve been working on. 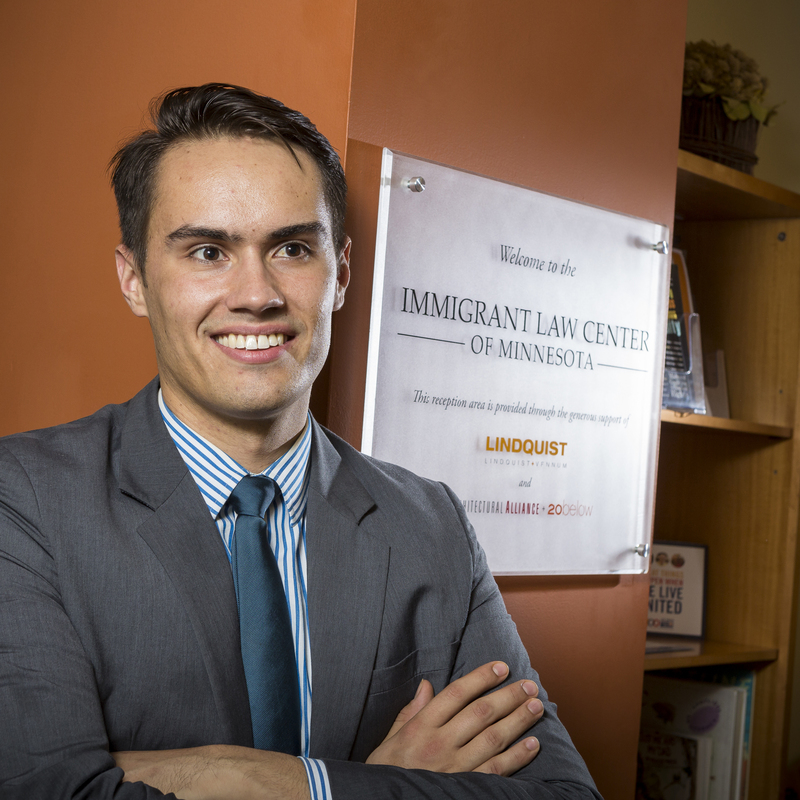 Grew up in South Korea, Germany, and Turkey; parents live in Reston, Va.
ILCM is a nonprofit agency that provides high-quality legal services to Minnesota’s immigrant and refugee community. The organization relies on donations of money and time. The development office, where I work, ensures the financial security and future of the nonprofit by identifying new donors and maintaining existing relationships. I manage the contact database, help identify potential donors, and meet those donors. After Macalester I hope to pursue a career in a law, working as a public defender or an attorney at a nonprofit similar to ILCM. This internship has given me insight into the kind of work I want to do in the future, as well as knowledge about the function and structure of nonprofits. Studying philosophy challenges me to question the underlying assumptions, arguments, and concepts in our legal system and society. Interning with an advocacy organization gives me an opportunity to leave the ivory tower and see where theory meets practice. After years of learning about morality and how it relates to the law, it’s exhilarating to finally participate in it. ILCM is the logical extension of Macalester’s values of academic excellence and commitment to civic engagement. For students in any field, an internship is a chance to develop skills important for work outside the classroom. Coursework makes you a good worker, but internships make you a competitive job applicant. The two go hand in hand; no college experience is complete without an internship.